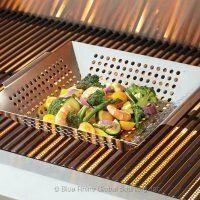 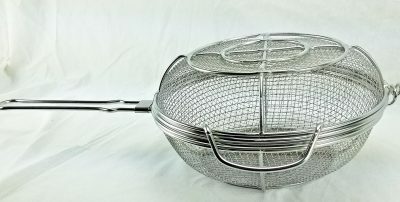 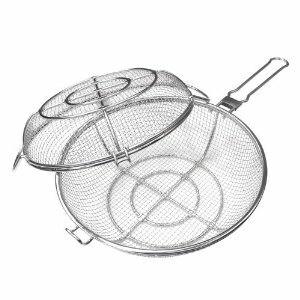 This is the mother of all grilling flip baskets made from an attractive stainless steel it also has a removable handle. 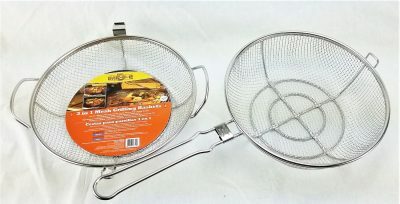 The top can be used by itself as a stand alone skillet. 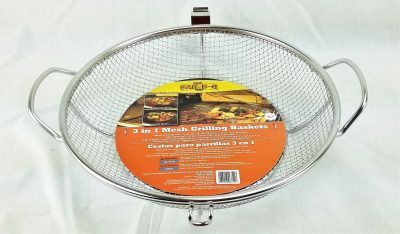 The bottom can be used as a grill wok or bowl or all together it works as a shaker or flip grill basket. One grilling basket that can cover all of your grill topper needs.One of the larger baskets out there this is 14 inches in diameter at the top and the sides are 5 inches deep. 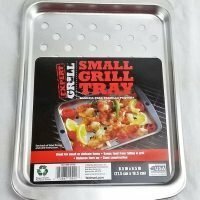 Simply put it can hold a lot of food, great for large families or party grilling. 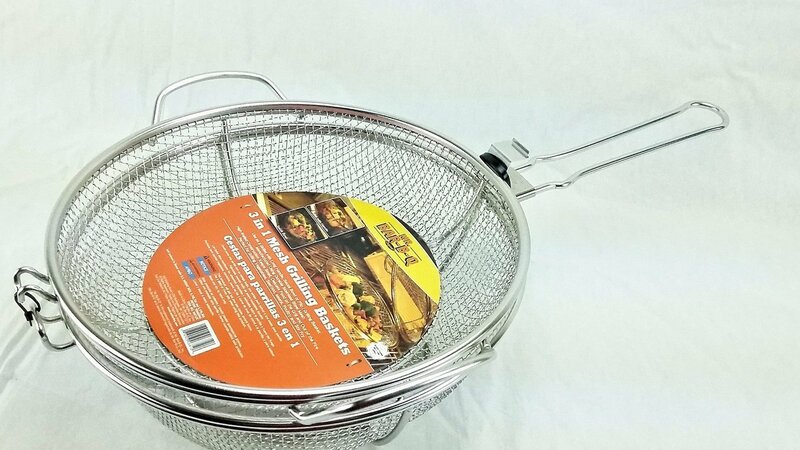 Overall length including handle is 22.5 inches. 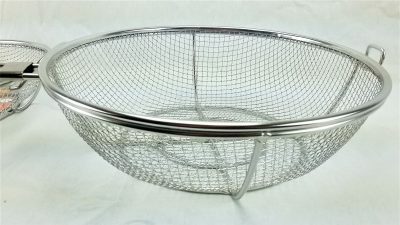 The top of the basket locks onto the bottom securely so there is no worry when flipping or shaking the basket. 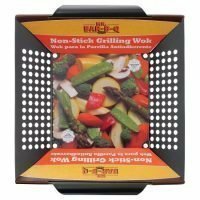 The tight wire mesh will not allow even the smallest of foods to fall through but still get you that great grilled flavor and even a little char if your want. 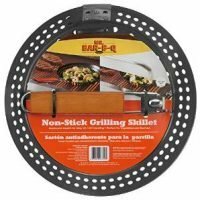 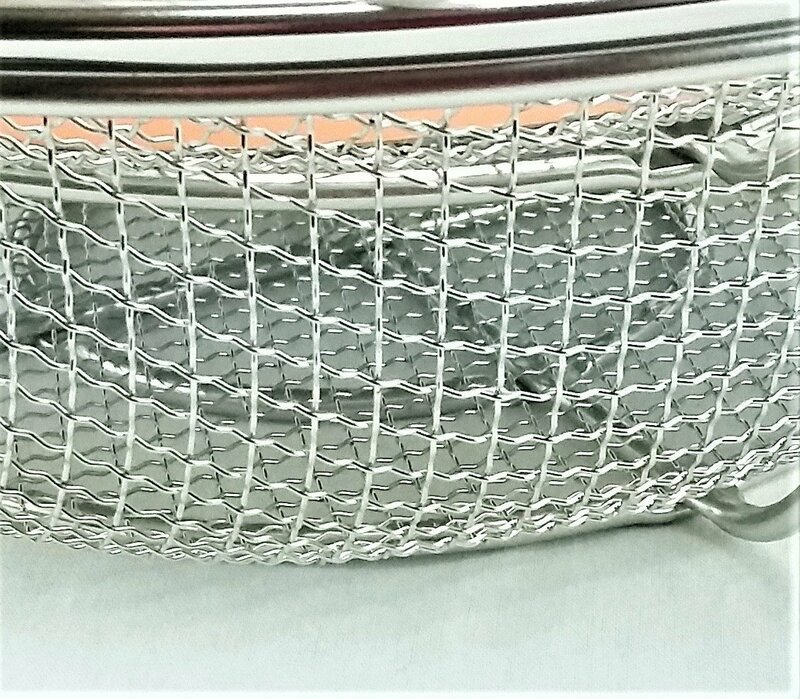 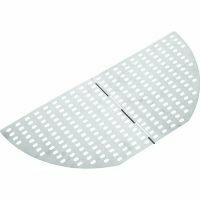 On the bottom each side has a large stainless steel ring to protect the fine mesh from wearing or catching on your grilling surface. 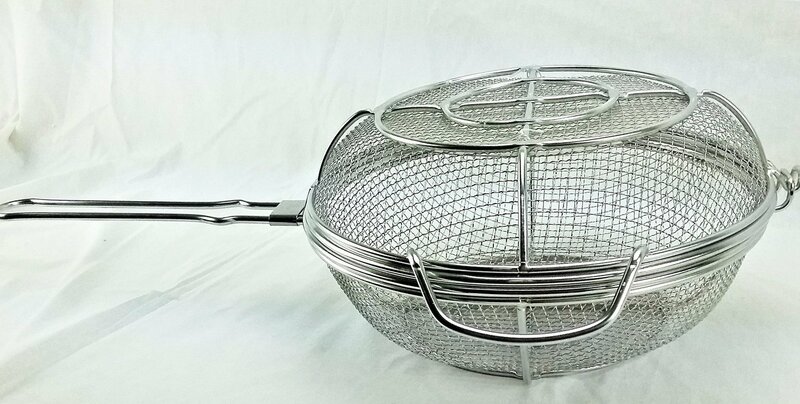 This grill basket is built to last a lifetime. 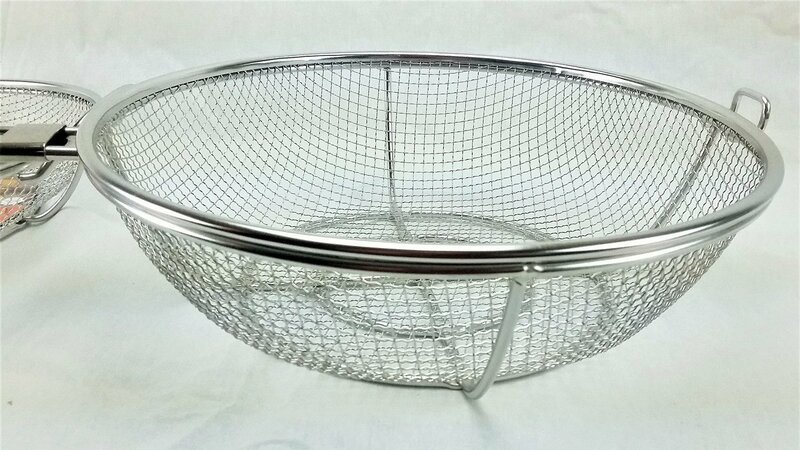 You may be tempted to throw this into your dishwasher we suggest hand washing it with soap and water. 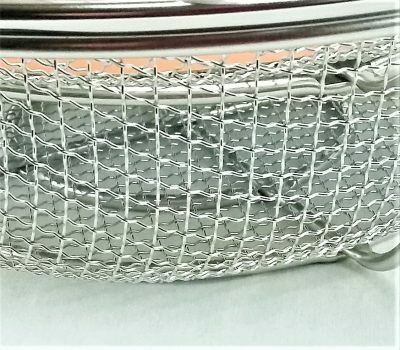 Harsh detergents or metallic scrubbers will eventually remove the shine or damage the stainless steel finish. 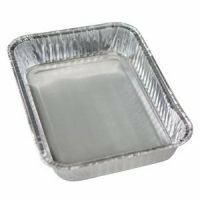 It should also be allowed to cool down fully before placing it into your sink. 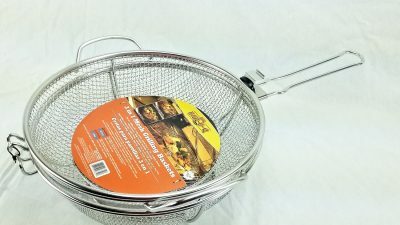 Metal baskets will get hot on the grill and you can burn your hands. Some kind of hand protection (grill gloves or an oven mitt) should always be used when handling this product.